How to develop 2D mobile games with Corona SDK. How to use Lua OOP for Corona SDK games. How to use the Corona SDK Apple Game Center plugin for multiplayer turn-based game play. How to incorporate iOS In-App Purchases (IAP) into Corona SDK iOS games. How to incorporate Vungle video ads into Corona SDK games. How to publish an iOS app to the Apple App store. 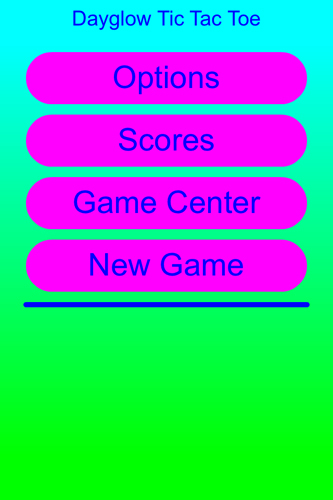 And finally as a game to test the full featured Apple Game Center Corona SDK iOS GameKit plugin I developed. 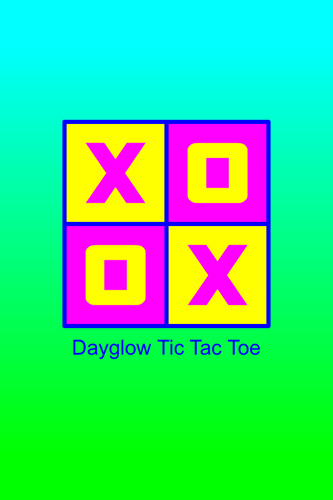 Classic Tic-Tac-Toe in dayglow for free! Play A.I. opponent that matches your skill level. Pass & Play with your friends. 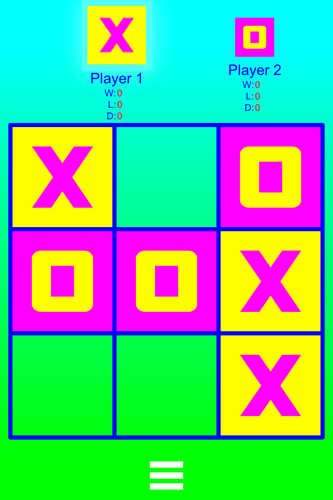 Play your Game Center friends or random opponents online.